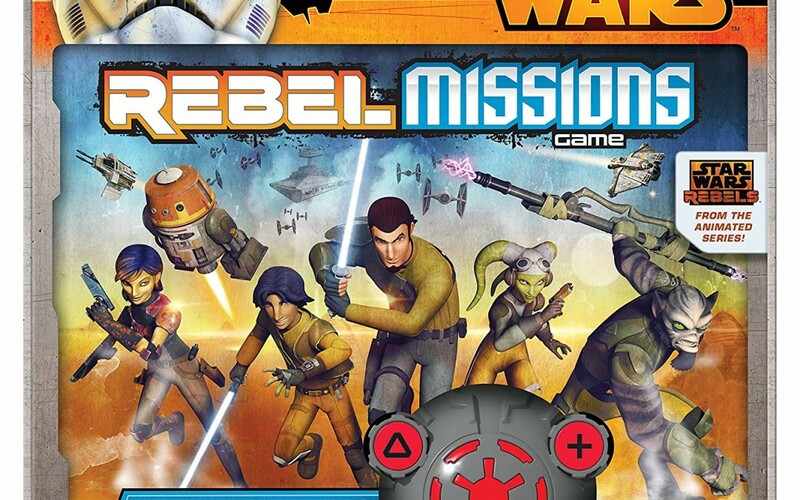 New Star Wars Rebels Missions Game now available! 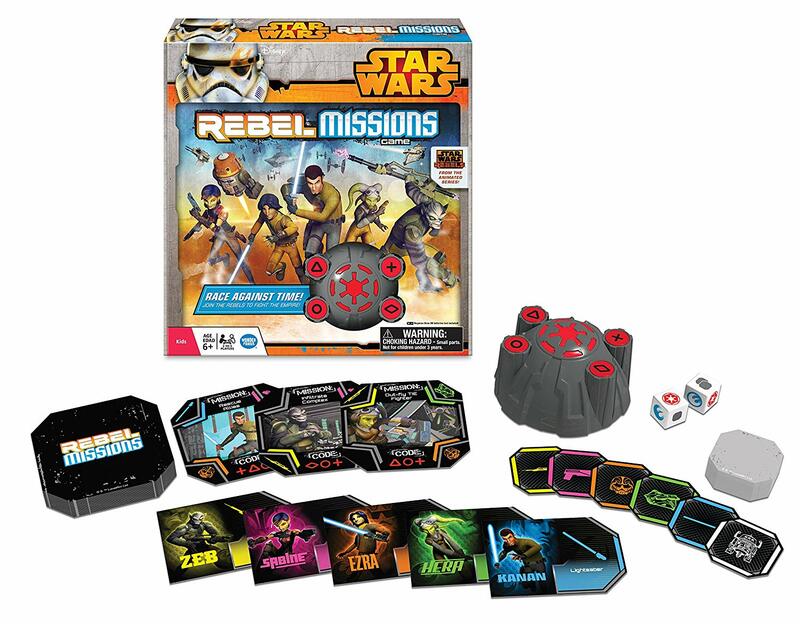 Walmart has debuted a brand new Star Wars Rebels themed item: a Missions game! This game costs $18 and shipping is free. It’s a dark time in the galaxy as the evil Galactic Empire tightens its grip of power. Work together as the ragtag crew of The Ghost starship and fight Imperial forces on the remote planet of Lothal! 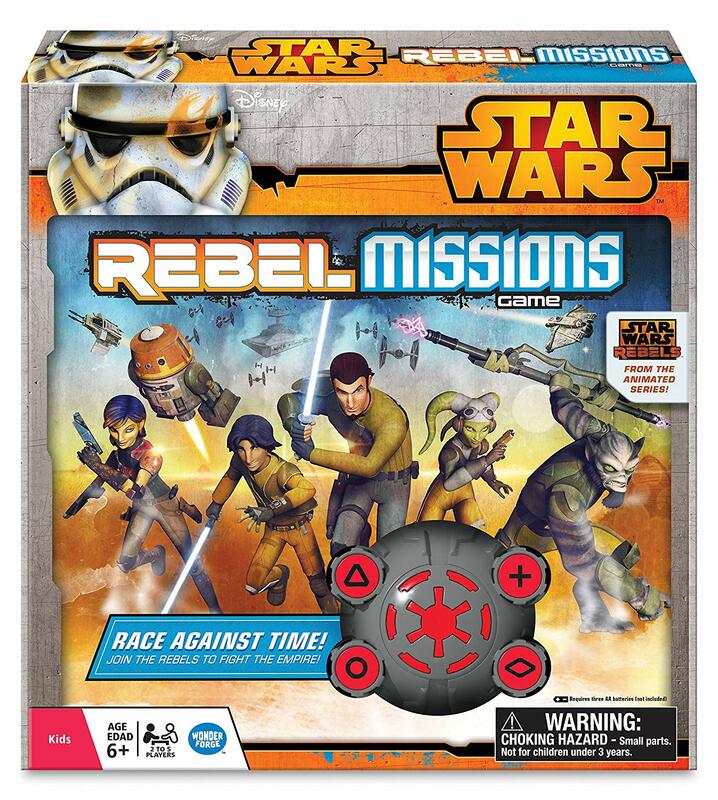 In this exciting team strategy game, race against the Imperial Timer to complete daring Rebel missions and find the four secret codes that will deal a blow to the Empire! Every game is a different edge-of-your-seat adventure! Features characters from the new hit Disney XD series, Star Wars Rebels!